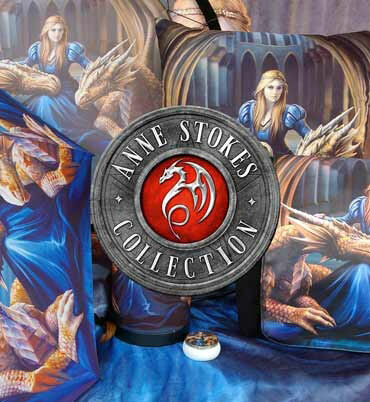 This exquisite Dragon Eye box is available from Nemesis Now’s Premium high-quality wholesale Gothic giftware selection. This treasure chest looks as though it is fashioned from the skin of a beautiful red Dragon. Tonal scales cover the box which is bordered by a riveted, brass edging. A large emerald eye rises from the lid, staring at the owner, while the feet of the box are formed from the talons of the Dragon. Cast in the finest resin before being carefully hand-painted, this surprisingly spacious box is perfect for any lover of mystical beasts.